In Cameroon, 82 couples have taken part in a mass wedding ceremony as part of efforts to better protect the legal rights of women. 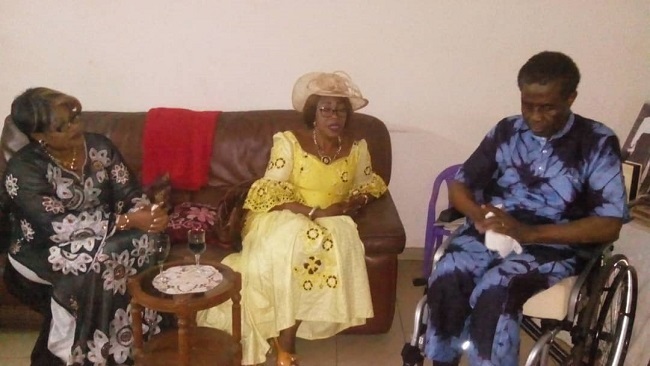 Only 10 percent of marriages in Cameroon are legalized, leaving wives with few rights. The mass wedding ceremony is part of activities to mark Friday’s International Women’s Day. For the event, traditional Cameroonian dancers performed in the courtyard of the Maroua Town Council. There, they celebrated the official marriage of 82 couples, most of them Muslims. 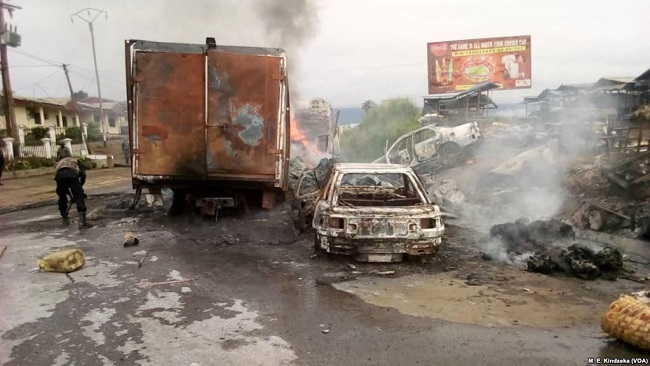 Among the couples were 16-year-old Asta Ismaila and her 47-year-old husband. Ismaila said she was forced to be the man’s third wife when she was barely 14 years old. After giving birth, she said, her husband did not take care of her or her baby. Although the couple split last year, they agreed to legalize their marriage so Ismaila and their child would not be shunned by the community. It also provides mother and child with important and rare legal protection. 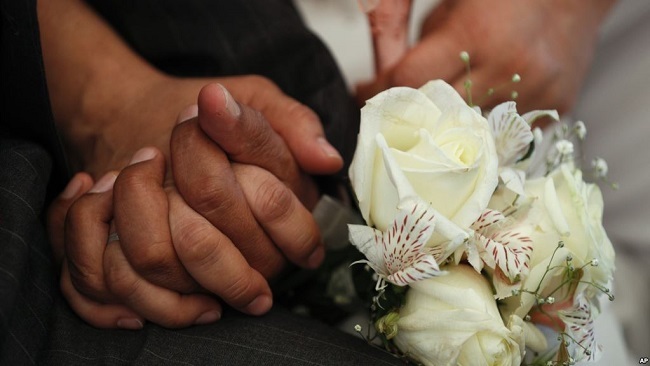 Cameroon’s Institute of Statistics says only 10 percent of couples have legalized their marriages – relying instead on simple, traditional ceremonies. If the husband dies, his family members often take the couple’s property and send the woman away with nothing. The Cameroon Association of Lawyers’ Hamadou Hamajarou says with a legal marriage, the state protects the wife’s property rights. He said Cameroon’s penal code punishes anyone who forces a widow out of her marital home with a prison term of three months to one year and a fine of $100 to $1,000. If the woman is pregnant or violence is used, the sentence can be from two to five years in prison. In northern Cameroon’s polygamous Muslim communities, men often bring home an additional wife without consulting their current ones. Without a registered marriage, the wives have few legal options to challenge the man’s decisions. Aissa Dumara, coordinator of the Association for the Fight Against Violence on Women and Girls, said women who defy their husband – legally or not — are often abused or kicked out of the house. She said only 35 of the 351 abused women who sought the group’s help in 2018 were legally married. Dumara said they were forced at very young ages into the homes of men who promised to marry them but instead they were battered, forced to do difficult domestic work, or simply dismissed. The group arranged the mass wedding to educate women of the importance of legalizing their marriages. It’s no small challenge in Cameroon’s remote villages. Ismaila tried to convince her husband’s two other wives to legalize their marriages as well. 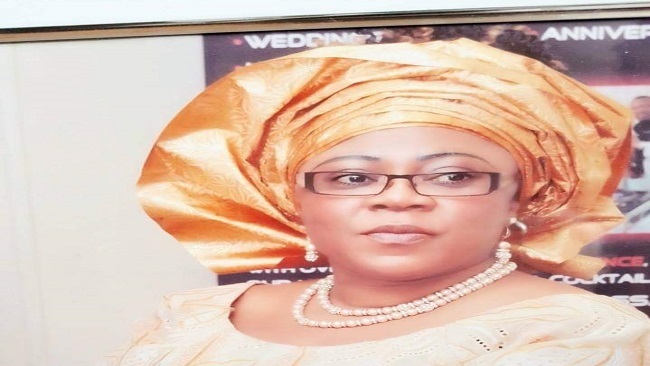 But they said their families were against it because the husband and his family had yet to pay them money or property for the marriage – known as a bride price. The cost for the wives having no legal protection could prove to be much higher. British lawmakers have issued a hard-hitting report, accusing Facebook and other social media platforms of deliberate breach of user privacy. The report was prepared by the Parliament’s Digital, Culture, Media, and Sport Committee on the issue of social media disinformation following an 18-month inquiry. The legislature published it on its website on Sunday. The body said Facebook was “intentionally and knowingly” violating data privacy laws. It said it had come to the conclusion after studying internal Facebook emails handed to them by a company named Six4Three, which, itself, is suing Facebook for allegedly harming its business. 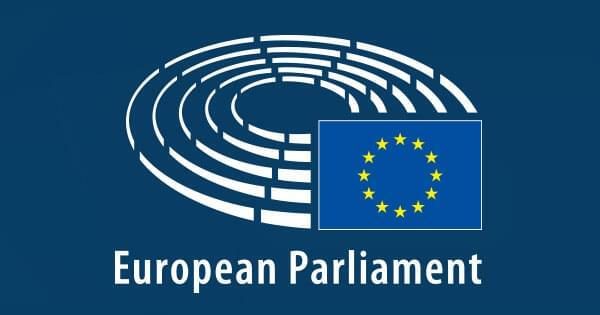 “The evidence that we obtained from the Six4Three court documents indicates that Facebook was willing to override its users’ privacy settings,” the parliamentary report read. Doing so would enable Facebook “to transfer data to some app developers, to charge high prices in advertising to some developers, for the exchange of that data, and to starve some developers—such as Six4Three—of that data, thereby causing them to lose their business,” it added. “The guiding principle of the ‘move fast and break things’ culture often seems to be that it is better to apologize than ask permission,” said committee chairman Damian Collins, Reuters reported. 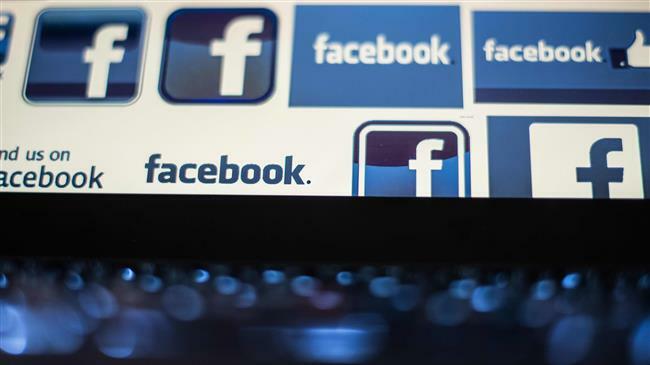 Therefore, the report said, Facebook and other big tech companies had to be made subject to a compulsory code of ethics to tackle data abuse as well as, what the lawmakers called, bullying of smaller firms. A Facebook spokesperson has, however, told The Hill that documents obtained from the Six4Three are inaccurate. “As we’ve said many times, the documents Six4Three gathered for their baseless case are only part of the story and are presented in a way that is very misleading without additional context,” the official said. 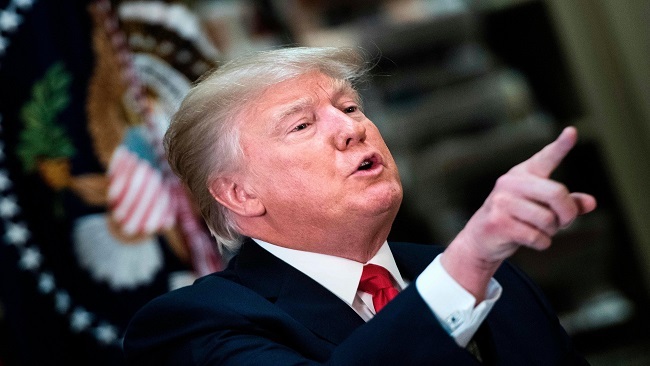 The parliamentary investigation was launched after a whistleblower named Christopher Wylie alleged that political consultancy company Cambridge Analytica had obtained the data of millions of users from Facebook. The report has accused Facebook chief executive Mark Zuckerberg of failure to live up to his leadership and personal responsibilities. Over the course of the inquiry, British lawmakers have asked Zuckerberg to turn up for explanation before them. He has failed to do so on three occasions, prompting the committee to censure him for “contempt” towards the Parliament. 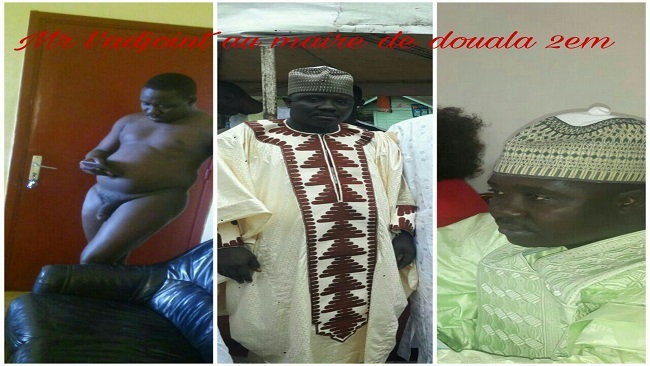 Life after power: Where is Minister Augustine Kontchou Koumegni now? 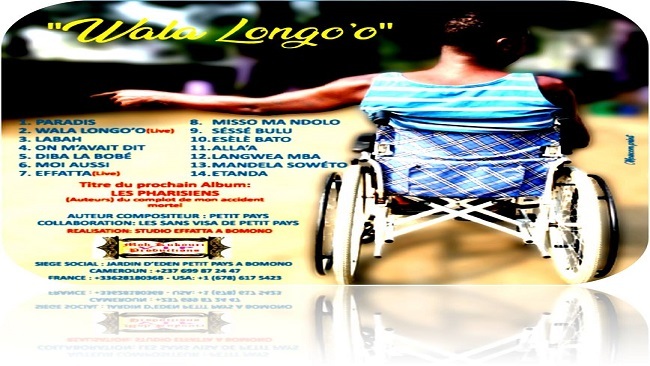 Wheel chaired Augustine Kontchou Koumegni is slowly but surely moving towards his end. We understand his ancestors are calling!! 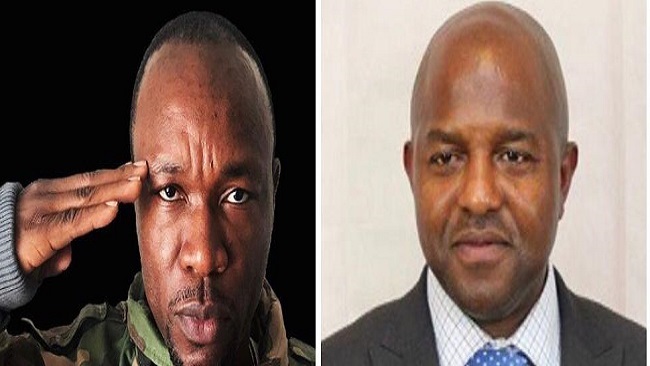 We gathered that the former Minister of State for Communications in the CPDM crime syndicate attempted to release some memoirs but cancelled the event. 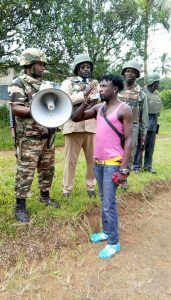 Kontchou who lied on numerous occasions to the Cameroonian people over the killings at the University of Yaounde was nicknamed “Zero Mort”. 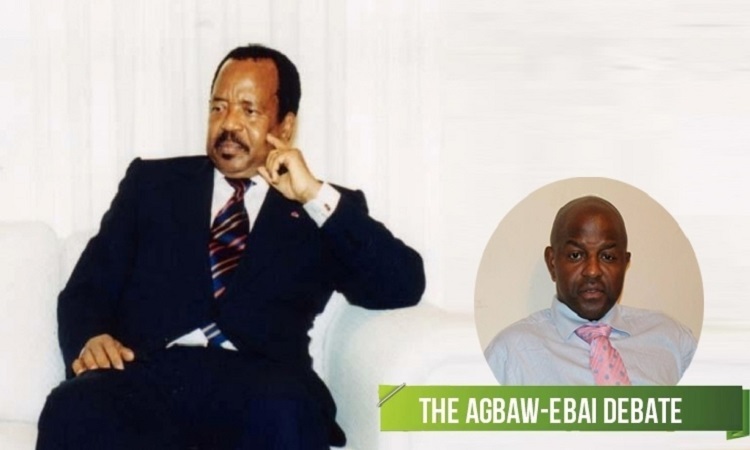 As a former Cameroon government spokesman, Kontchou is expected to reveal the ins and outs of his time with Biya. But is anyone really interested? 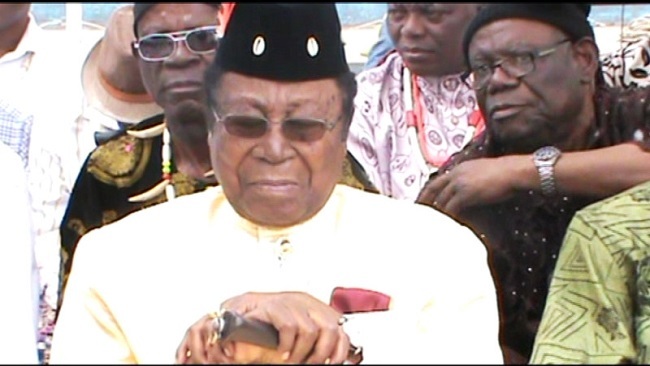 The former Biya acolyte has reportedly struggled to make a comeback into politics but suffered a massive stroke. Putting pen to paper is now a thing of the past. One former acquaintance said Kontchou feels so abandoned by the regime. So what else has Kontchou been up to and how will he be remembered? What has Kontchou been doing? Simply enjoying his wheel chair!! Epiphany on 6 January is celebrated throughout Europe – with France’s ‘galette des rois’ cake, in Spain’s ‘cabalgata’ parade and in Italy’s broomstick-riding ‘Befana’ who brings presents. In Ireland, however, the day is known as Women’s Christmas. 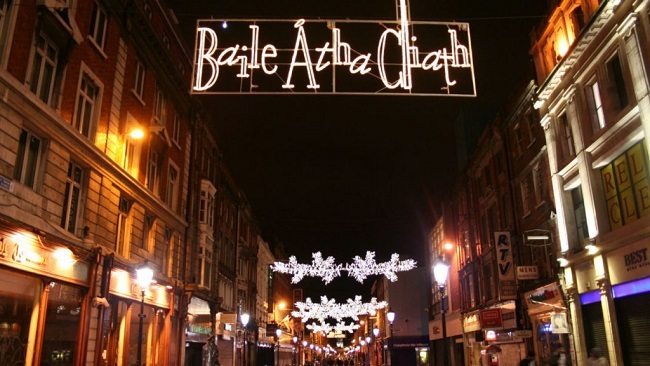 Women’s Christmas, Nollaig na mBan in Irish Gaelic, or Little Christmas as it is alternatively known, is traditionally the day when women are able to rest after their hard work over the Christmas period. They gather with friends, possibly exchanging gifts, and don’t do any work for a day – instead leaving men to cook for them, look after the children and run the household. The men of Ireland weren’t altogether delighted by the role-reversal. An Irish proverb went like this: “Nollaig na bhfear, Nollaig Mhor Maith; Nollaig na mBan, Nollaig gan Mhaith”, which means “Men’s Christmas: a fine big Christmas; women’s Christmas, a no-good Christmas”. Before 1958, January 6 was the only day of the year when women in Ireland were allowed into pubs. Groups of women would pool together the money they had saved, and go and drink and eat in the pub. Previously, women in Ireland would only set foot in a pub if they were chaperoned by a man. Those who braved the male-dominated domain of the Irish bar were viewed as not respectable. Women today go out with their friends to a local pub or a restaurant to celebrate. Businesses across Ireland have begun to take advantage of the day’s popularity with deals and promotions. 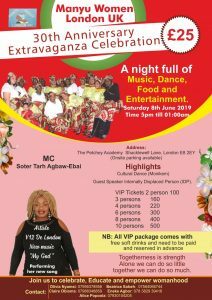 The day has also been used by feminist activists as an opportunity to celebrate women’s achievements and inspire change. The Irish Writers Centre in Dublin hosts an event on the day which pays tribute to Irish female writers and the Glasnevin Cemetery Museum runs a tour about women who shaped the nation. This year HerStory, a cultural activism project, organised a festival to quite literally shed a light on the lives and achievements of important women throughout history and culture. On the eve of Women’s Christmas, buildings across Dublin were illuminated with projections of famous or influential women, from 16-year-old climate activist Greta Thunberg, to Irish footballer Anne O’Brien and Fuamnach, a witch from medieval Irish mythology. The year 2018 was significant for women’s rights in Ireland. A hundred years after Irish women won the right to vote, they came out in huge numbers to vote on whether to repeal or keep the Eighth Amendment in the Irish Constitution, a law that grants equal right to life for the mother and the unborn child. The Republic voted to overturn the country’s draconian abortion ban by a landslide. The first day of 2019 saw abortion services legally available for the first time, as well as new measures against coercive control in abusive relationships passed into law. But the gender equality battle is not yet won. The Gender Equality Index 2017, produced by the European Institute for Gender Equality, highlights how Ireland still has progress to make on gender equality in the household: 90% of Irish women do cooking and housework every day for at least one hour, compared to only 50% men. The media landscape in Cameroon will be enriched today with the official launching of a new television station called Renaissance 237 TV. The Television channel that begins streaming online today has been described as a Pro-Maurice Kamto media though no official statement has been released from the party. 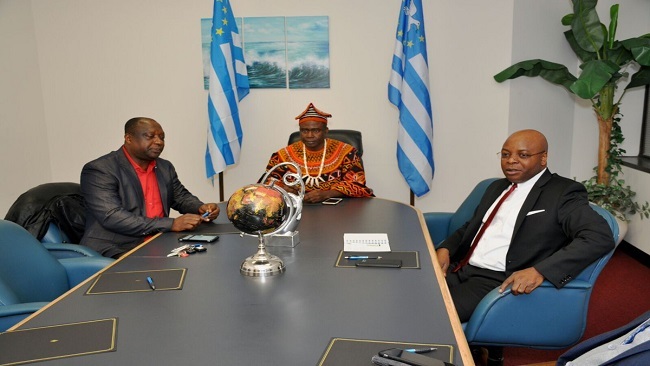 However, the President of the Cameroon Renaissance Movement Maurice Kamto shared a flyer on his Facebook Page announcing the launch of the television station. 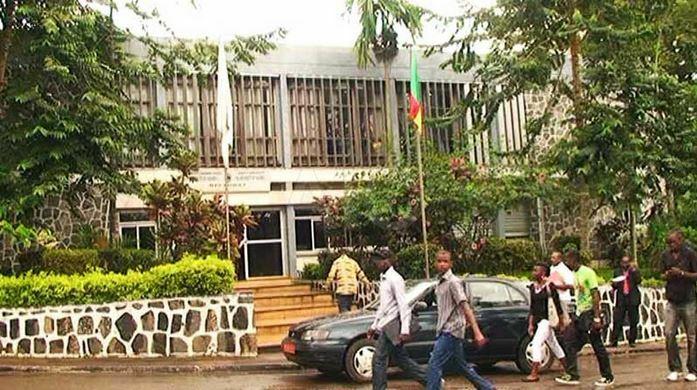 Youths of the Cameroon Renaissance Movement have been mobilising online in the past days to offer their support to the initiative as they believe controlling the media sphere is an important tool in their fight against the regime in Yaounde. The launch of the Renaissance 237 TV will be followed by that of another pro Kamto TV called Generation Change TV on December 31 in the United States of America. 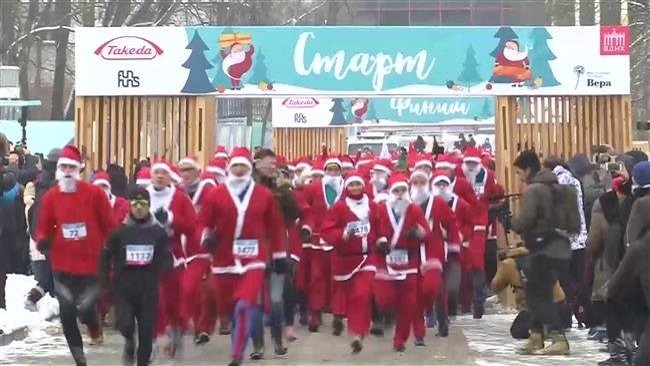 A snowy Moscow park turned red on Sunday (December 23) as 2,000 volunteers dressed as Santas came together for a charity run to raise money for Russian hospices. 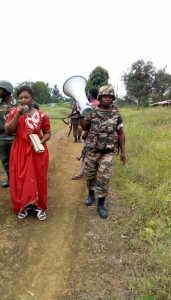 The Divisional Officer for Mundemba in Ndian was recently accompanied by a female Mummy of the Lord Jesus, supported by the Commander of the 22nd Regiment of the Cameroon army stationed in Bafumar on a mission to Bessingui and Meka Ngolo aimed at getting Ambazonian restoration forces to drop down their weapons. 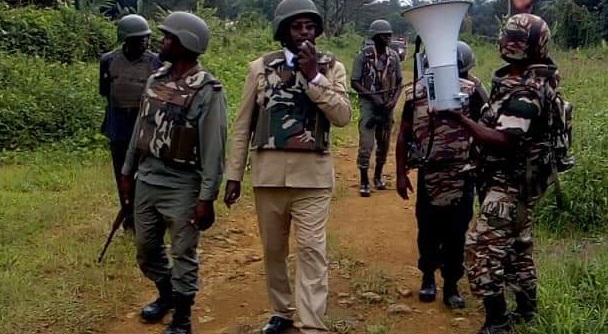 Cameroon Concord News understands that with an outdated public address system, the French Cameroun delegation successfully achieved their goal as some Southern Cameroons fighters including the Ambazonian commander of Ndian 1, General DADY DIBALLA came out of the forest neatly dressed with a mobile phone, bowed, trembled and surrendered. 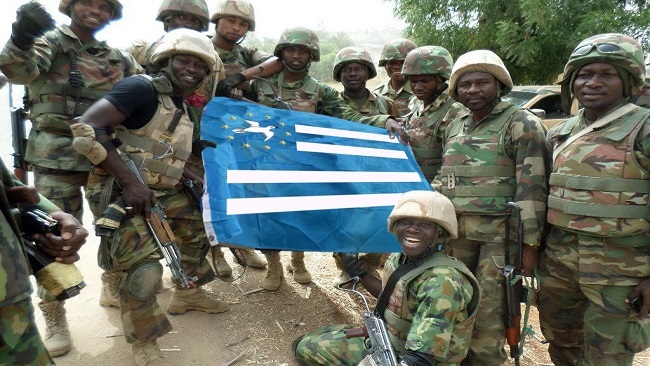 General Dady Diballa reportedly made a soul searching appeal to all Ambazonian forces in Ndian to come out of the bushes and pay allegiance to the so-called Father of the Nation, President Biya. Many in Ndian County now believe that the Holy Spirit guided the mission. In this edition of the AGBAW-EBAI DEBATE we are asking our readers to make known their opinions on this religious happening in Ndian County. 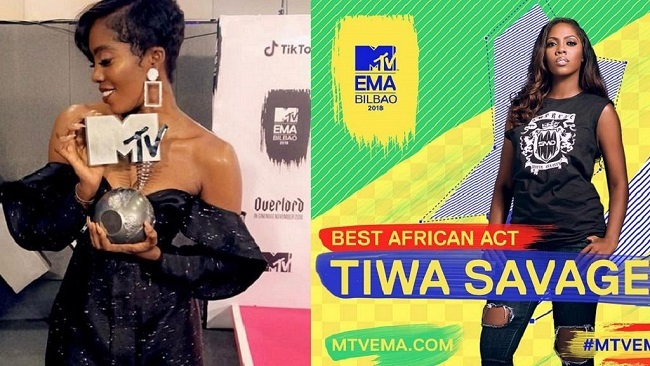 Celebrated African diva and pop star Tiwa Savage made history on Sunday as she became the first Nigerian female artist to win the ‘Best African Act’ award at the MTV Europe Music Awards (MTV EMAs). Tiwa was up against stiff competition from fellow Nigerian act Davido, South Africa’s Distruction Boyz and Shekinah, Kenya’s Nyashinski and Fally Ipupa from the DRC. The African act category, in 2005, was introduced at the MTV EMAs to enhance musical alliances across borders, and promote cultural integrations. Celebrating her award, Tiwa took to Instagram, where she thanked her fans and dedicated the award to ‘girls with dreams’. ‘‘I’ve been through a lot but I’ve kept my head up and weathered the storm because I know some little girl somewhere is dreaming like I did,’‘ read part of Tiwa’s post. The biggest winner of the MTV EMAs held on Sunday at the Bilbao Exhibition Center, Bilbao, Spain was 21-year-old Camila Cabello who took home the ‘Best Song’, ‘Best Artist’, ‘Best Video’ and ‘Best U.S. Act’ accolades. Tiwa, who currently has a songwriting deal with Sony/ATV Music Publishing, has been a consistent staple on the Nigerian and African music scene since she joined Don jazzy’s Mavin Records in 2012. Playing several roles as songwriter, performer and actress, Tiwa who sings in English and Yoruba, has also won the MTV Africa Music Award, Channel O Music Video Award, Nigeria Music Video Award and City People Entertainment Awards among others. “Tiwa is truly deserving of this award which is an affirmation of how consistent, commitment and hard work leads to success,” Alex Okosi, executive vice president Viacom International Media Networks Africa told Times Live. She has recently been trending over rumours that she is dating fellow Nigerian star Wizkid, fuelled by the latter’s Fever music video in which Tiwa is a video vixen.